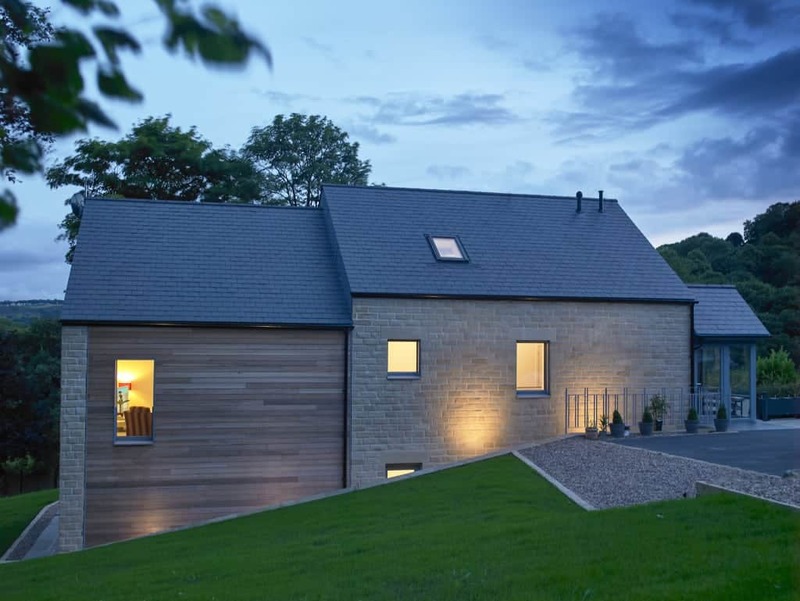 The Golcar Passivhaus project, a newbuild 4 bed detached 296m2 home in West Yorkshire built by Green Building Store, has just received its official Passivhaus certification and has also been shortlisted for the UK Passivhaus Awards 2016. The project is Green Building Store’s second Passivhaus built using cavity wall construction and offers technical advancements in cavity wall construction detailing for low energy and Passivhaus buildings. This iterative process and continuing research and development means that that the Golcar Passivhaus represents the culmination of Green Building Store’s research and development in this area. Project leader Bill Butcher commented: “It has been great to get a chance to develop our methodology for cavity wall construction in ultra low energy and Passivhaus buildings further with this project. We were particularly pleased to achieve an airtightness test results of 0.25 m3 ach/hour, our best result yet!”.